It’s been a while since we’ve seen as much channel-chief turnover at the biggest names in the business like we saw in September. AT&T, Windstream and Vonage all have new partner-program leaders. Telarus grabbed a well-known Integra veteran, TPx promoted a well-known figure from his DSCI and Thinking Phones days, and PlanetOne said so long to its president. And that’s not the half of it, literally! We’ve once again compiled a gallery of the biggest new hires, promotions and retirements in the channel. All of the faces you see are making significant contributions to their companies’ partner programs, making decisions that will impact your business. Click through our gallery below to see who popped up where in the channel. Missed last month’s “people” gallery? Click here to see who was on the move in September. Master agent Telarus introduced Scott Forbush as its new senior vice president of sales. He is responsible for working with regional VPs and senior partner managers in the field to build awareness of the company’s tools, pre- and post-sales resources, and strategic lead-generation programs to support the sale of cloud services. Forbush has more than 12 years of channel sales and leadership experience at Telesphere, Integra/Electric Lightwave and Zayo. Click here to read more about why Forbush took the job. The same day it announced a realignment of its channel programs, longtime AT&T veteran Brooks McCorcle (left) said she would retire. McCorcle has spent the last several years as president of AT&T Partner Solutions, most notably launching the AT&T Partner Exchange channel program. Zee Hussain (center) takes the reins in McCorcle's old role, but he will be responsible for leading all three of AT&T's partner programs – Partner Exchange, ACC Business and Alliance Channel – under one umbrella. Randall Porter (right) was promoted to lead Partner Exchange under Hussain's command. After coming out of retirement in 2010 with plans to work just six months on a major project, Lauren Shapiro wound up spending seven years at master agent PlanetOne Communications, the last four as president. She's leaving the company and is "looking for the next chapter in my career story." PlanetOne CEO Ted Schuman will add president to his title. Click here for more of what Shapiro had to say about her time at PlanetOne. Bob Crissman is the new channel chief at Vonage. He comes to the VoIP and UC provider from Alfresco Software, where he built a new partner program that increasingly became a larger part of Alfresco's Business during his tenure. Crissman says Vonage's channel strategy could use some tweaking to make it more effective and attractive to its network of master agents, agents, ISVs, VARs and other resellers. Crissman replaces Kyle Johnson, who took a job as chief sales officer at OnSolve. Read more about Crissman's goals. There was a lot of moving and shaking at Windstream in October. The biggest was Olen Scott's announced exit from the enterprise communications giant to "pursue other opportunities." He will remain with the company until the end of the year. In his place – and out of retirement – comes Curt Allen (left), former president of X4 Solutions, which was acquired by fellow master agent Sandler Partners last year. And that's not all. Windstream also appointed Michael Brennan (top right) as its new head of national and strategic programs. It's a newly created role at the company. Ron Beer (bottom right) will lead channel sales as vice president in the South region. Both men joined Windstream via its EarthLink acquisition. Read more about Allen's hiring here, and the promotions of Brennan and Beer here. Managed-services carrier TPx Communications promoted Carl Moore to director of national channel development. Moore comes to TPx via its DSCI acquisition last year. With DSCI, Moore was VP of sales channels in the East. Moore's work history includes nine years as sales and business development lead for Thinking Phones Networks, which rebranded as Fuze last year. Already the face of the channel for cloud distributor Pax8, Ryan Walsh now holds the title of senior vice president, partner solutions. 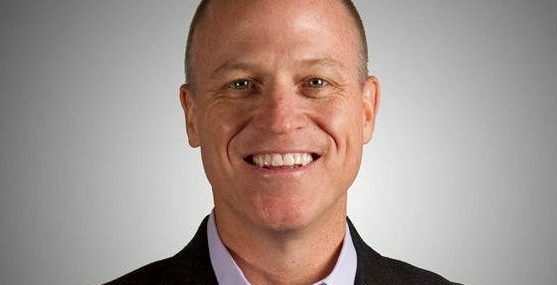 Walsh, who co-founded the company, will be responsible for steering the company's IT channel strategy, partner solutions and vendor relations. Learn more about Walsh and Pax8 here. AireSpring, the provider of dedicated Internet, voice, data, SIP, and integrated voice and data products, hired Ralph Romero (left) as VP of customer ops. He is tasked with further building the company's customer operations team and finding new ways to boost its UCaaS position. Romero comes to AireSpring from TPx. Also new at AireSpring is Mike Chase (right). Chase takes on the role of SVP of solutions engineering. He has experience designing data centers for AT&T, IBM and others. Learn more about Romero here and Chase here. Broadvoice, the hosted voice, UC and SIP provider, named Todd Scarborough, formerly with Serenova, as channel manager for Texas. At Serenova, he worked closely with cloud service providers and sales partners to help them build and refine cloud contact-center practices. Also new at Broadvoice is Randy Greene (not pictured). Greene has the same role in the company's Southwest region. He most recently was a senior channel manager with TPx. Read more about Scarborough and Greene here. Lumeta, the cybersecurity firm, named Paul Kriksciun to the role of director of North American channels. Prior to joining Lumeta, Kriksciun led Carbon Black's East and Federal channel programs; before that, he was director of channel field marketing for Extreme Networks and enterprise relationship manager at Citrix. He's called upon to lead development, strategy and execution of programs to support Lumeta's focus supporting customers' security needs through the channel. Click here for the full scoop on Kriksciun. Spectralink promoted Andrew Duncan to VP of product management and technology solutions. Duncan will direct the company's product/solutions portfolio, including the PIVOT, Wi-Fi 84-series and DECT lines. He'll also oversee the development of additional products with Spectralink's global services team and AIMS partners. Data-centric security software provider SecurityFirst bulked up its channel team with the hiring of Richard Vaughn (left) and Nicholas Waddell as directors of channel sales. They have a combined 65 years of experience in the industry; Vaughn has spent the majority of his career at Toshiba America Information Systems, while Waddell's work history includes stops at Ingram Micro, Panasonic and Mitel. Click here to read more about these gentlemen. Magic Software Enterprises launched a new business unit and partner program for managing global integration partners with a focus on rapid growth — and with that, named Stephan Romeder, who has been with the company for more than 20 years, VP of global business development. He is tasked with fostering strategic global partnerships to expand Magic’s reach in the integration market. This is where to read the full story on Romeder. Array Networks named Paul Andersen its new vice president of sales for North America. In this role, he is responsible for all direct and channel sales efforts in the region, with a focus on expanding adoption of Array's AVX series Network Functions Platform. A 10-year Array vet, Andersen most recently served as senior director of marketing for the company. Before that, he did stints at Cisco, Tasman Networks and Sun Microsystems.